The Dental Channel - Corporate dentistry: friend or foe? effects of corporate finance backed groups on the dental profession. Analysis of the various roles that dental principals play in dentistry. The differences between corporate finance-owned and dentist-owned practices. The financial models that are used by corporate groups to grow by acquisition. 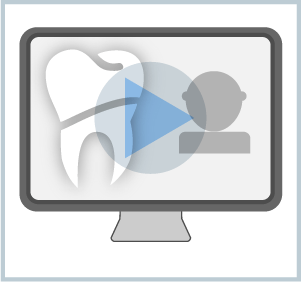 On completion you will have an understanding of the effects that the growth of corporate groups are likely to have on the dental profession. Dr Alon Preiskel is a consultant prosthodontist (clinical professor) at Guy’s Hospital. He is a partner at Preiskel Prosthodontics in London and founder of the Collaborate Dental Group. He gained an Executive MBA from London Business School, which led him to his interest in the effects of corporate ownership in dentistry. His teaching experience includes serving as Program Coordinator of the implant diploma at the Eastman Dental Institute (London) and teaching prosthodontic trainees at Guy’s Hospital, where he completed his prosthodontic training. Dr Preiskel is a member of numerous dental societies and lectures frequently at national and international meetings including the American Prosthodontics Society, Academy of Prosthodontics, International College of Prosthodontics, IJP Young Prosthodontic Educators and at the London Nobel Biocare symposium. Dr Preiskel sits on the Executive Council of the American Prosthodontic Society and on committees of the International College of Prosthodontics. He is a reviewer for the International Journal of Implant Dentistry and Journal of Prosthetic Dentistry. Plan Corporate dentistry: friend or foe? What are your experiences of working for a corporate?